Our partnership with the Global Security Training Initiative (GSTI) means you have access to the industry's BEST Level I licensing and certification training. Already approved in TN and MS, approval is pending across the U.S.
To learn more go to the Global Security Training site! The U.S. Bureau of Labor Statistics (BLS) quotes that jobs for security and fire technicians is expected to grow much faster than the rate of growth for other careers - by 33% from 2010 to 2020. At SecurityCEU.com we now have courses approved for licensing compliance and continuing education within Alabama, California, Mississippi, Louisiana, North Carolina, Tennessee, New Jersey and more! To make it easier for you to locate and sign up for the courses that are approved in your state, we have overhauled the SecurityCEU.com site with state specific content to better meet YOUR needs. Specific training packages to meet the needs of licensing and CEUs in your state are also available. licensing requirements and approved courses for YOUR state! 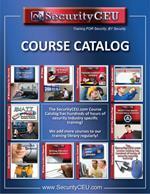 Take a look at the SecurityCEU.com course catalog! Bulk pricing is available for corporate users with 5 or more students. Get our complete online course library for one year. A Don't Miss Webinar Series! What is your level of expertise when it comes to Video Security Systems? 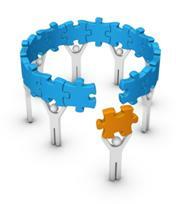 We have an ideal way to increase your business and technical knowledge when it comes to VSS. Join us for one (or more) of our Webinar events presented by long-time industry expert, Charlie Pierce, President of LeapFrog Training & Consulting. 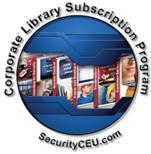 To register for any or all of the events, go to SecurityCEU.com/webinars and complete the registration form. All events are scheduled for 60 minutes. Each event qualifies for CEUs. Discussion for increasing the percentages of successful sales, bid responses, and security budget requests. Continuing through the most common causes of failure and the processes required for success. Risk Analysis is the precursor to every successful security solution. Whether electronic, manpower, physical, large or small, without the process of defining the threats, no security solution may be provided with any hope of effective protection. A site survey is a literal, physical survey of a site in advance of finalization of a security solution design, placement of equipment and/or activation of a security or safety recommendation. Although this webinar will be a general overview of the process of managing a site survey, it is intended to provide the attendee with a detail of the process of providing and utilizing the results of a professional site survey. Project Creep is a financial pain in every industry. Be it a small project or a major project, creep causes delays, profit loss, extra costs, mistakes and more times than not, operational errors. There is one, extremely important, document for every job that is put out for bid. Although identified under two or three different names, it is most commonly referred to as the Request for Proposal (RFP). The RFP represents the "rules" of the game or project. Writing or creating a good, solid RFP does not require a degree. It does require the writer to pay attention to detail. The second most important document for every project, regardless of industry, is the Scope of Work (SOW). If the RFP is the rules of the project, the SOW is the detail. Every requirement of the project is spelled out in the SOW. A poorly defined SOW will insure that the average project (large or small) will have multiple change orders, increased project creep and ultimately overrun budgets. The Math of VSS encompasses everything about system design, installation, service and more. This webinar will discuss the most common math calculations utilized to determine proper lensing, power requirements, cabling structures, storage requirements and how to calculate the requirements and costs of a proper service contract. This session will introduce the data, details and math required to calculate storage requirements for an IP or Hybrid visual system, as based upon need, wants and costs. Additionally, several methods of cutting back on storage requirements will be discussed and demonstrated. Cameras come in every size, color, type and style available to the imagination. Understanding the theory of operation, the pitfalls of different styles, and the division between technologies can be the difference between saving a lot of money and ending up with images that do not produce the effect that application requires. In this session we will explore interpreting modern, IP-based, equipment specification forms for the purpose of defining, verifying and using various technical and non-technical data to properly apply technology to the applications needs. This subject is all about responding to system, technology, transmission and other forms of structure compatibility issues both prior to installation as well as after the fact. This session is designed to review everything analytic for video. The general and sometimes specific requirements for such programs, where and how they can be best used in video system to assist in providing automated response factors, and when and why some analytics just won't fit into your system or budget. 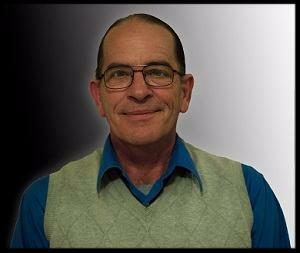 Mr. Pierce is in his 43rd year of active experience in the security industry and has been considered one of the CCTV industry's leading authorities on the design and application of CCTV and Integrated Security Solutions since 1986. He served as the founder and President of LRC Electronics Company (the largest servicer of warranty/non-warranty CCTV equipment in the USA - 1984 - 2004). Mr. Pierce is currently the President of LeapFrog Training & Consulting, which is the originator and one of the highest regarded trainers for the design, application, installation, service and integration of CCTV and technology based security since 1986. He is the author of the Professionals Guide to CCTV which has been in print for over twenty-six years, and was considered to be the bible of the CCTV industry on a worldwide basis. He was an active member of the Physical Security Committee for the American Society for Industrial Security (ASIS) for 22 years. Mr. Pierce has been the lead design consultant on multiple projects including government facilities, malls, living malls and other associated major projects. He has also served as the author and active contributor of over 100 white papers / articles for 11 security related magazines, in seven countries including, but not limited to the United States, Australia, New Zealand, UK, Mexico, Argentina, Chile, Columbia, Japan, and India. Mr. Pierce has served the security industry in many ways including as the Chairman of the Closed Circuit Television Association (1992 - 1996), Chairman of the CCTV Standards committee for the Security Industry Association (SIA), and Chairman DDOV (Design, Development, Operation of Digital Video Systems) Workgroup ANSI Standard for CCTV - SIA (2010 - 2012). Mr. Pierce is also an active member of the SIA sponsored Project Manager development and training seminars 5-person team (2014 - Present) and the Educational Committee (Sub-committee of Physical Security Council) ASIS (2007 - Present). At SecurityCEU.com we pride ourselves in being the best! No other industry training provider can boast over 100 hours of online, relevant content approved at the national and state level for continuing education to keep your license in compliance and to maintain valuable industry certifications. And now, we provide the new Compliance Management System (CMS) increasing our value to the industry and proving once again we know what you are looking for from a solution provider. We understand the specific needs of the individual installer and technician on up to the largest manufacturer and integrator. Don't risk your licensing and compliance needs by going anywhere else. Feel free to contact us with any questions you may have. We'd love to hear from you! Contact me directly at any time via email at connie@cmoor.com or by calling 502-376-1774. Thank you for spending a few minutes of your time with us! SecurityCEU.com? Follow us on Facebook, Twitter and LinkedIn.